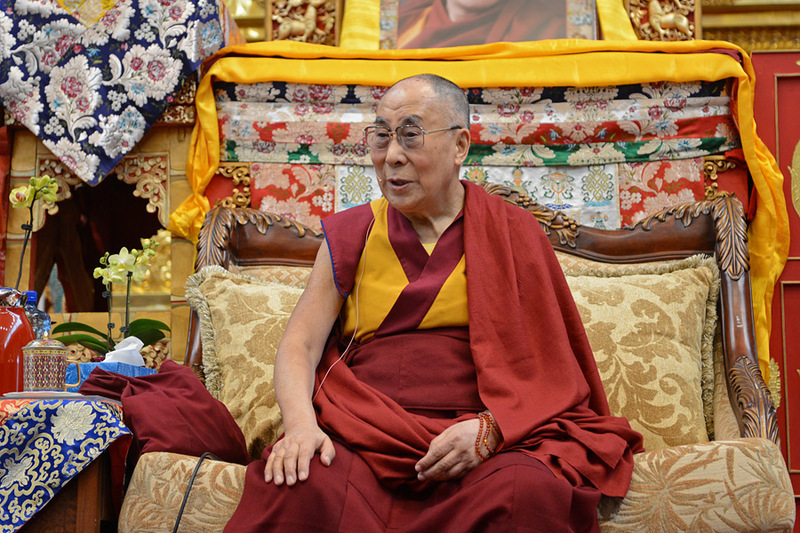 You are here: Home » China Watch » China no longer considers Dalai Lama a religious leader? China no longer considers Dalai Lama a religious leader? (TibetanReview.net, Mar09’16) – The Dalai Lama ceased to be a religious leader after he “betrayed his country” and this possibly represented a change in policy by the Chinese government, reported China’s official globaltimes.cn Mar 8, citing a senior official from the Tibet Autonomous Region and Chinese experts. “He was no longer a religious leader after he defected his country and betrayed its people,” the report quoted Baima Chilin (also written as Padma Choling), deputy Party chief of the Tibet Autonomous Region, was quoted as saying at a press conference on the sidelines of the fourth Session of the 12th National People’s Congress (NPC), the Chinese parliament, which opened its annual session on Mar 5. Baima Chilin was apparently referring to the Dalai Lama’s escape from his occupied homeland in Mar 1959, although for years after that China kept claiming he had been abducted by Tibetan reactionary bandits. The report cited Xiong Kunxin, an ethnic studies professor at the Minzu University of China, as saying Baima Chilin’s remarks showed the central government’s attitude towards the Dalai Lama’s identity, “who had long been considered a religious leader”. The report further cited Xiong as saying that the legitimacy of the Dalai Lama’s status as a religious leader was no longer acknowledged by the central government “as he had failed to fulfill his obligation to inherit and spread Buddhism and continued his separatist activities”. But even recently, Chinese media had referred to the Panchen Lama appointed by Beijing but not recognized by mainstream Tibetans as the second highest religious leader of Tibet, thereby suggesting that the Dalai Lama was the highest. Besides, it would not make sense for China to insist on wanting to install the reincarnation of a Dalai Lama it no longer recognizes as a religious leader. In any case the religious legitimacy of the Dalai Lama does not derive from any recognition by China but is integral to Tibet’s Buddhist heritage. The report also cited Wu Yingjie, one of the Chinese deputy Party chiefs of TAR, as saying “contact between entertainment celebrities and the Dalai Lama and his clique is unacceptable, adding that they need to take responsibility for their behavior.” This referred to the fact that Hong Kong Singer Faye Wong and actor Tony Leung Chiu-wai, along with mainland actor Hu Jun, had sat near “two core figures of the Dalai Lama group” when they took part in a Tibetan Buddhist event in India recently. The figures were the speaker of the Tibetan parliament-in-exile Mr Penpa Tsering and the exile Tibetan Home Minister Mrs Dolma Gyari. The occasion was the 92nd anniversary of the birth of the late predecessor of the 17th Gyalwang Karmapa, the head of the Karma Kagyu lineage of Tibetan Buddhism, held at Bodh Gaya on Feb 14. A spokesman for the Karmapa’s office had told the Associated Press Feb 26 that the presence of the Chinese trio with the exile Tibetan officials was entirely “coincidental”.